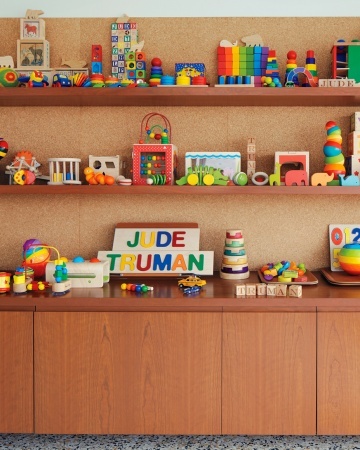 Love these beautiful scenes from Martha Stewart's grandchildren's nursery. Could I please have some of those bright wooden toys for Lena and Baby Boy? One task at a time. A lesson in mindfulness. No more dishwasher? I can totally relate to this since we don't have a dishwasher here in Italy. Well... we do, and it's me. Free stress test. How do you measure up? Her thoughts on the quiet calm of Europe made me want to savor every moment of the peace of living in Italy. Love this slick quiz to see who you side with in the presidential election. How I would love to use more Ball jars in my kitchen! But this lovely blogger doesn't have a one-year-old. Cool reading and study program my friends are doing this year. I'd like to do it when we live back in the D.C. area. Just ordered this highly recommended book about parenting. I love a handmade gift, particularly if it's a knitted one! Join my book club this month! Read this book!